The holiday season is coming up quickly and let's be honest here. The "geeks" in your life are not the easiest to buy for thanks to their introverted-ness and sometimes less than effective communication skills. With that in mind, and myself, being one of those "geeks" I just described, I have put together this short list of items that are sure to please even the pickiest of geeks. First up is Anki Cozmo. He was the must-have toy of the year last holiday season and it is looking like he will be right near the top again this year. However, you will have to make a choice if you plan to put Cozmo under the tree this year. Do you go with the classic white and red theme or do you pick up the Cozmo Collectors Edition which comes in a Liquid Metal paint finish. My vote; get both! Check out my two Cozmo reviews HERE. In Canada, Cozmo and Cozmo CE are available at Best Buy. Check them out! If you have been on the site before you know that I am a big fan of Anki and the great products they have released over the past year. Last year I reviewed and talked a lot about Anki Overdrive. It is a very fun and easy-to-play racing game that mixes in Artificial Intelligence into its software to take the game to a level not seen in this type of game. You can read my review of the original Overdrive game HERE and more recently, my unboxing and overview of the Fast and Furious Edition. The inclusion of the Fast and Furious franchise into the Overdrive family has been tremendously done. 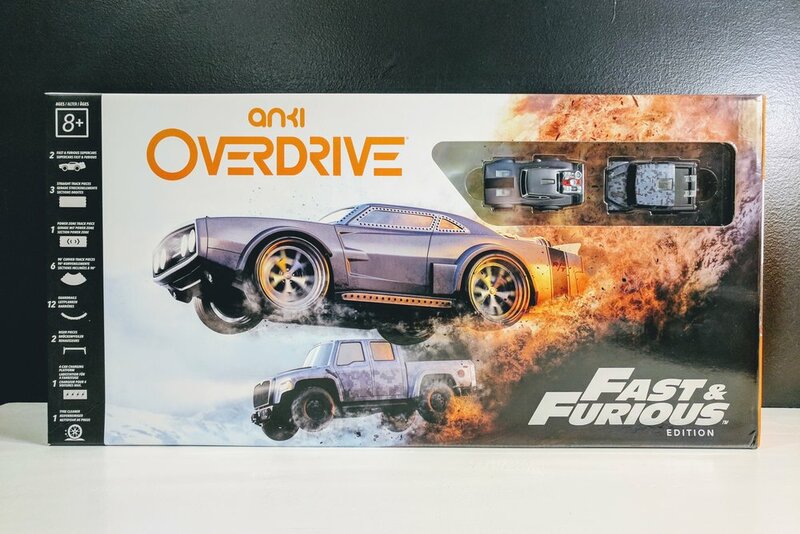 The cars from Overdrive and even the original Anki Drive are compatible with the Fast and Furious app giving you endless amounts of possible race combinations. If you have been keeping score in the smart speaker battle between Google's Home and Amazon's Echo/Alexa you would likely place Amazon in the lead, and you should. Alexa is literally everywhere and showing no signs of slowing down. However, I would recommend that a prospective smart speaker buyer get their feet wet with Google's offering. The Google Home has been doing a wonderful job of playing catch up to get near feature parity with Amazon, but that is not the reason I would recommend the Home over the Echo. 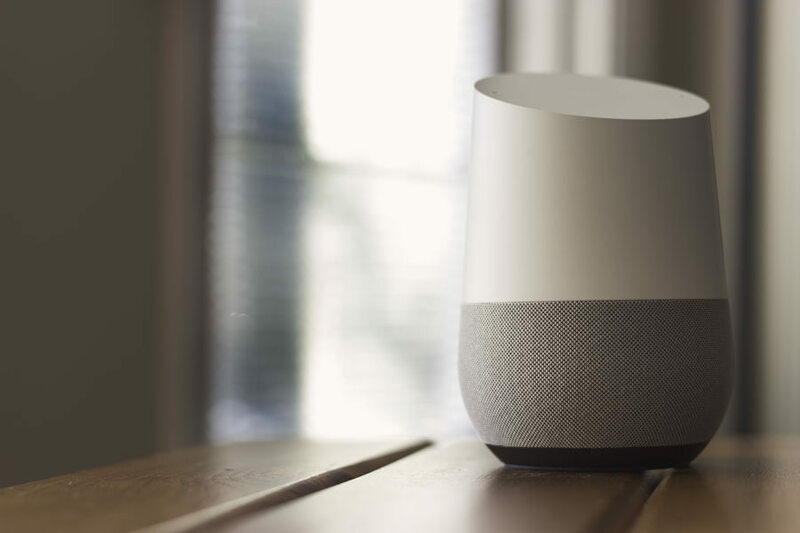 The functions of the Home will be familiar to most users, especially Android users since the Google Assistant is more or less the same when comparing the smartphone to the Home versions. If you're looking to get started with a smart speaker that is familiar and easy to use with hundreds of useful integrations the Google Home would be my pick. Check out the Google Home HERE. This Bluetooth headset from the accessory maker, Aukey, is, for all intents and porpuses, a budget alternative to those looking for the Apple-Beats X headset released earlier this year. I reviewed this headset in early November and was pleased by the overall, quality of the audio provided. The biggest let down was more the fault of Bluetooth 4.2 issues than of the headset itself. One of my favourite features is the ability to have a simultaneous connection with two devices, making it easy to bounce between phone and laptop audio quickly. Check out my review of the EP-B61 Headset HERE. Let's be honest, the tire pressure sensor and monitor that is built into your vehicle from the factory is pretty much useless. Some vehicles are better than others, but in the case of my two vehicles, a Ford and Dodge, they do not provide any information until one of the four tires are low on pressure. Once that alarm is sounded, I'm on my own to stop and manually check the pressure of each tire to see which tire is causing the alarm. The ZUS Smart Tire Safety Monitor system is a must if the factory options provided by your automaker is as useless as mine. Check out the ZUS Smart Tire Safety Monitor HERE. Do you need a smart lock? No, not really. However, all geeks and nerds alike feel that they need a smart lock. If you do decide to bestow a smart lock upon your geek, I would recommend the August Smart Lock. Recently refreshed with a new lineup of more affordable locks, August is one of, if not the industry leader in this space. You can see the full August lineup of smart locks HERE. Last year people were either trampling each other trying to get the last of a small shipment of NES Classics from their local Best Buy or actively trying to scam desperate parents out of hundreds of dollars so they could give little Jimmy an NES for Christmas. This year Nintendo has released the SNES Classic which has already shown to be in demand as much, if not more than the NES from a year ago. Nintendo has committed to more stock, and that appears to be the case despite stock selling out almost instantaneously when it comes available every few weeks or so. The SNES Classic comes with 21 games installed including the previously unreleased "Star Fox 2" which never saw the light of day during the original SNES glory days. Pro Tip: The I have been able to get the line on the SNES Classic more than once this year by following Best Buy Canada's gamer channel on Twitter. The account (@BBYC_GamersClub) does not tweet often, but when they do, it is usually to announce the availability of new games and consoles. I suggest following this account and turning on Tweet notifications to be ready for the next SNES Classic stock drop. Also, check out the site BrickSeek. It can send you notifications so you know when a retailer has stock online or instore. A trio of BittBoy handhelds. If you were not lucky enough to find a SNES but still want to give your geek a retro-game fix the Bitt Boy is a handheld system that is more-or-less a classic GameBoy knockoff. The Bitt Boy, unlike official Nintendo retro releases, does not run official games, but rather runs an NES emulator that comes stocked with about 300 different titles. The build quality is certainly not going to be the greatest here, but for the price paid, only $30, it is sure to provide a decent level of entertainment when on the go or when simply sitting on the couch in a vegetative state refusing to do anything productive. You can pick up a Bitt Boy HERE. Ok, hear me out. Anyone who has been following the news-cycle on the Essential PH-1 will think this is crazy to recommend as a gift, but if we look at our core audience here, geeks, this is actually an ideal device for this type of user. The Essential PH-1 (PH-ONE...get it...) is possibly the most beautiful phone released in 2017. Yes, even more so than the iPhone X (come at me Apple fans!). That is a significant factor when a geek is scoping out their next phone. Another reason to consider this is the simplicity of the software included by Essential. There is essentially no software installed out-of-the-box. The only customer piece of software included is the Essential Camera app which is, by all accounts, hot garbage. The beauty of Android, however, is that it is near effortless to install the ported versions of Google HDR+ Camera app allowing you to take some stunning photos. They won't be Pixel level quality, but they will be considerably better than the stock camera app from Essential. Next up is the phones expandability or potential expandability thanks to the wireless USB 3 spec used by the phone to connect to devices like the Essential 360 camera. 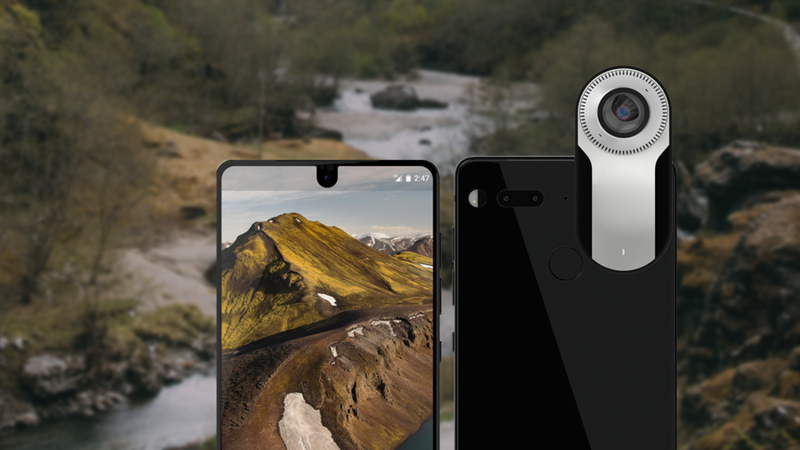 There is promise here and if Essential can make headway here similar to that of Motorola with the moto-mod system we could see some really fun and useful mods for the Essential phone next year. Finally, the Essential PH-1 was created by Andy Ruben; the father and creator of Android. If you did not know this already, shame on you! The Essential PH-1 can be ordered directly from Essential HERE and in Canada, from Telus HERE. Note the device, despite being exclusive to Telus does come unlocked for all major Canadian carriers. That sums up the GadgetSyrup Geeky Gadget Gift Guide for 2017. Let me know what you think of the list and tell me what items you have on your list this year!